Welcome to the Jersey Regatta … et soyez bienvenus nos amis français! 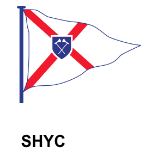 Welcome to the website and the 21st Edition of the combined RCIYC, St Helier YC and St Catherine’s SC ‘Jersey Regatta’. Here you will find all you need to smooth your way to joining us for the Island’s ‘flagship’ sailing event. Scheduled to run from 5th to 8th September, the Regatta is an open event designed to provide fun and keen, friendly competition for the wider sailing community, experienced sailors and novices alike. As ever, we look forward to welcoming visiting boats from Guernsey, France, the UK and beyond and to enjoying the much-appreciated added fun and cut and thrust that accompanies them. The tried and tested three-day format remains, essentially, the same featuring racing in and off St Aubin’s Bay and the south coast for sportsboat, cruiser/racer, Quarter Ton, dayboat, dinghy, sport catamaran and windsurfer classes. The 6th Spinlock IRC Channel Islands Regional Championship will undoubtedly, be a major attraction for the two IRC classes in the cruiser/racer fleet. The Regatta gets under way on the Thursday evening with an ice-breaking reception and skippers’ briefing. A distance race for the sportsboat and cruiser/racer classes opens the programme on Friday whilst Saturday and Sunday feature back-to-back racing with boats competing over distance, round-the-cans and/or Olympic-type courses. The ‘small boat’ classes race separately over Olympic-type courses within the beautiful confines of the Bay. Trophies and prizes are awarded for each day and overall prizes are awarded to the best boats in each class. Staunch supporters from the start, Jersey Marinas (www.ports.je/JerseyMarinas) will be providing complimentary berthing and such other support as is necessary to help ensure that everyone has the best possible experience of the Regatta. Visiting boats are asked to let the Regatta office know if they intend to arrive earlier than the weekend before the Regatta. Condor Ferries (www.condorferries.co.uk) is, again, very kindly offering discounted fares to those competitors wishing to transport their boats to the Island. This includes accompanied boats on trailers, vehicles and passengers on their Poole, Portsmouth, Guernsey and St Malo to Jersey routes. If you wish to take up this offer, please e-mail the Regatta office, in the first instance. 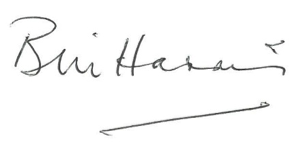 Please note that the definitive closing date for entries is 29th August but why not take advantage of the attractively low entry fees that are made even more enticing with an ‘early bird’ fee for those entering no later than 12th August. The Notice of Race and entry form are available by clicking on the ‘Race Administration’ button at the top of this page. Those of you who will be visiting the Island and in need of accommodation would do well to go to the VisitJersey website (www.jersey.com), where you will find a wealth of information on what the Island has to offer. September is, invariably, a very busy month so early booking is strongly recommended.